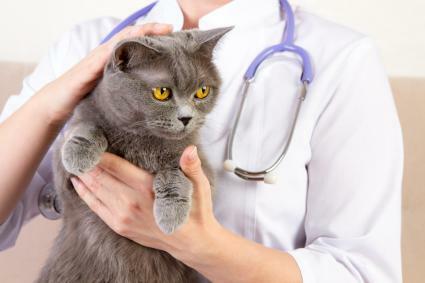 Caring for the health of a cat is very important because cats are very delicate and petite pets. People always have a strong affection towards their cats and therefore they try to be sure about the health and the well being of their cats. It is only because of the caring nature of the cat owners that the several ways to tell if your cat is sick have come into being because these ways or methods would be able to help an individual in taking great care of his or her cat. Weight loss takes place in a cat mainly because of appetite loss which can be considered as the direct result of any kind of illnesses suffered by the cat. If the cat owner notices any kind of changes in the dietary habits of the cat or weight loss tendencies in the cat, it is very important to take the cat for a visit to the veterinary clinic. Coughing is considered to be very normal in cats as in human beings but constant coughing can be a threat. If the cat is found coughing for a very long span of time, it should be taken to the vet on an immediate basis because this can be a dangerous threat to the health of the cat. Fever can be considered as one of the easiest among all the ways to confirm whether your cat is ill or not because fever is the main symptom of the sickness that is found in a cat. The cat can be felt for fever by checking on the tendencies like shivering and hot or cold body of the cat that can be taken as symptoms of fever. Cat owners might be very well aware of the playfulness and the active lifestyle of their cats, so if there is a sudden change brought about in the energy of the cat where the cat is found to be very sleepy and lethargic, it can signal some kind of sickness in the cat. There are other behavioral changes that can also be taken as symptoms of a sick cat and should be diagnosed as early as possible in order to get the best help in the best way possible. Vomiting is a very general tendency that is found in cats. Cats vomit if they take something that is not suitable for their health but persistent vomiting accompanied with some blood can turn out to be dangerous for the health of a cat. A cat that is not groomed well can signal illness. Nobody likes to take care of themselves in times of sickness. The same goes with cats. Sick and unwell cats do not groom and clean themselves and this can be a clear symptom of sickness prevailing in a cat. This is also one of the most useful ways to tell if your cat is sick.